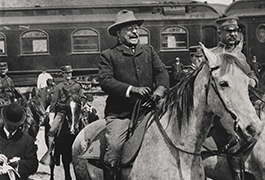 The Doris A. and Lawrence H. Budner Collection on Theodore Roosevelt ("Budner Roosevelt Collection"), held by SMU's DeGolyer Library, contains correspondence, ephemera, audiovisual materials, periodicals, newspapers, photographs, and more related to President Theodore Roosevelt. There are also two related collections of prints and photographs. 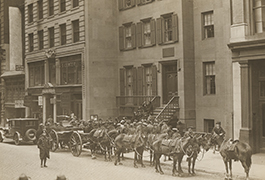 A finding aid to the Budner Roosevelt Collection is available. 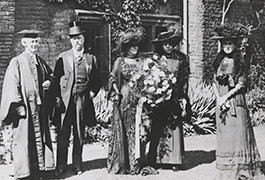 Lawrence and Doris Budner spent over 20 years amassing a collection of books, periodicals, pamphlets, photographs, and ephemera related to the twenty-sixth president of the United States, Theodore Roosevelt. They began donating their collection to Southern Methodist University in the 1980s. 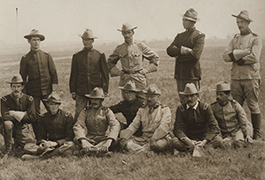 In addition to periodicals from the era of Roosevelt’s presidency, the collection contains records from the Budners’ activities in the Theodore Roosevelt Association, as well as from exhibitions and events on Roosevelt. 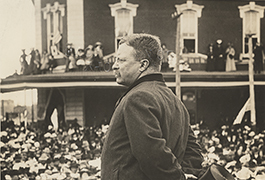 Also related are the Budners’ collections of Roosevelt books and photographs. 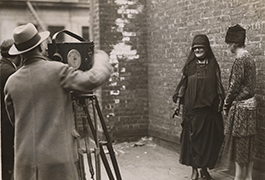 Currently, the prints and photographs from the Budner Roosevelt Collections are being digitized and uploaded into this digital collection. Plans call for items from each series of the collection, described below, to be added, as well. Learn more about presidential history in the Hervey A. Priddy Collection of American Presidential and Political Memorabilia from DeGolyer Library.